GreenTech Automotive (GTA), an American company started by politicians and financiers to build and import electric cars is under investigation by the SEC. The Securities and Exchange Commission subpoenaed the company’s records. A press release e-mailed to PR Newswire states that the company itself says the subpoena was delivered in July and that media reports of that taking place in May were inaccurate. According to the Washington Post, the SEC investigation is related to a department of Homeland security program related to residency. Apparently, a person who is willing to invest up to half of a million US dollars in a US venture can be granted full permanent residency in the US. The investment needs to be in an economically struggling area and there are requirements related to American job creation. The investigation also includes Gulf Coast Funds Management a corporate entity involved with GTA in establishing a Mississippi assembly plant. The plant was to be the location that a donor car from Chinese automaker JAC would receive a drivetrain made form US and internationally sourced components. GTA plans to market the resulting electric sedan as an American-Made EV. 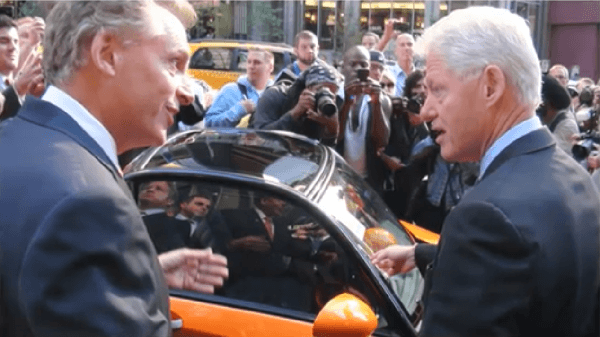 GTA was formed by Terry McAullife, former head of the Democratic National Committee, Co-Chair of Bill Clinton’s presidential campaign and also chairperson of Hillary Clinton’s presidential run. He is presently running for Governor of Virginia. In a statement published by the StarTribune McAuliffe is quoted as saying “"I left the company in December of last year, and I don't know anything about it," when asked about the SEC investigation. The brief statement did not clarify if McAuliffe is still the company’s largest private stockholder. There is no news on the company’s website about him having divested his interest in the company. According to the company’s website Charles Wang is now the President and CEO of GTA, and Gary Tang is the executive vice president of finance. At this time no link between these executives and the Department of Homeland Security immigration program is inferred. GTA’s mission statement claims the company’s culture has three parts. In it the company pledges commitment to economic prosperity, environmental stewardship and social responsibility.